The Downtown is considered an urban center. 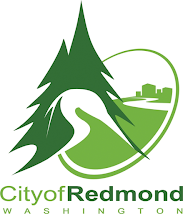 It has the largest park in Redmond and will have two transit stations. North Redmond and Willows are the fastest growing neighborhoods. Grass Lawn has the most expensive housing (as of 9/2018) Education Hill has six schools and seven churches. Many million dollar homes are being built in North Redmond. The OVERLAKE URBAN CENTER is not on this map. It is south of the DOWNTOWN URBAN CENTER. It will have two light rail transit stations that mostly service Microsoft workers and is expected to one day to surpass the Downtown Urban Center in population.